City-As-School High School | City-As-School Joins NYCDOE's new initiative Digital Ready! 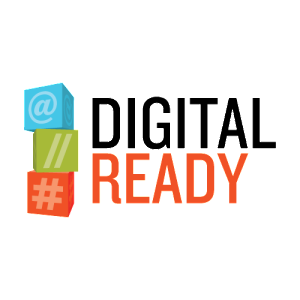 City-As-School Joins NYCDOE's new initiative Digital Ready! City-As-School is proud to be one of ten schools named to the city’s new technology initiative Digital Ready. New York City Schools Chancellor Dennis M. Walcott, Media and Entertainment Commissioner Katherine Oliver and Chief Digital Officer Rachel Haot today announced Digital Ready, an intensive professional development and technology expansion program designed to help participating NYC public high schools use technology and student-centered learning to improve their students’ readiness for college and careers. Digital Ready introduces strategic digital teaching tools and connects students with New York City’s vibrant technology community to help them develop the professional skills and technology competencies that equip them for success in the new digital economy through partnerships with technology and media leaders. New York City Schools Chancellor Dennis M. Walcott, Media and Entertainment Commissioner Katherine Oliver and Chief Digital Officer Rachel Haot today announced Digital Ready, an intensive professional development and technology expansion program designed to help participating NYC public high schools use technology and student-centered learning to improve their students’ readiness for college and careers. Digital Ready introduces strategic digital teaching tools and connects students with New York City’s vibrant technology community to help them develop the professional skills and technology competencies that equip them for success in the new digital economy through partnerships with technology and media leaders. NYC Digital also released New York City’s Digital Leadership: 2013 Roadmap, which reflects that 100% of the 40 initiatives in the City’s digital growth plan, across areas of infrastructure, education, open data, engagement and industry, are now complete. It also details the recent Digital Cities Symposium and introduces new ideas for future goals. The announcement took place at Brooklyn International High School, one of the schools participating in Digital Ready. As part of Digital Ready, teachers are trained and supported in the use of a wide range of technology-based tools and resources. Digital Ready also includes collaboration with external partners in the digital industry to create pathways for students and their future. Tech companies have the opportunity to mentor students, offer internships and contribute to the learning experience in a variety of ways. Partners involved with Digital Ready include: the American Museum of Natural History, Apple, Artsy, Beam Center, BRIC Arts Media, Brooklyn College Community Partnership, Eyebeam, Dream Yard, Global Kids, Google, Iridescent, the LAMP, Mozilla Hive NYC Learning Network, Museum of the Moving Image, NPower, NYC Salt, Scenarios USA, ScriptEd, Skillfeed and Tribeca Film Institute, among others. “BRIC is dedicated to integrating the artistic process to digital practices to inspire students to be creators with technology for the 21st century,” said Jackie Chang, Director of Education, BRIC. “I know that ScriptEd’s partnership with NYC Digital and the Department of Education will broaden our impact and help many more students learn the computer programming skills they’ll need to be creators, and not just consumers, of technology,” said Maurya Couvares, Executive Director, ScriptEd. “Skillfeed is excited to be providing NYC students access to hundreds of online courses to help them hone their digital skills,” said David Fraga, General Manager of Skillfeed. The new NYC.gov, which recently launched, anticipates user needs based on traffic and search data, responds to requests with improved search results, serves users with improved digital customer service functionality, informs New Yorkers of important news and programs and engages visitors on any device and digital screen. The 2013 New York City’s Digital Leadership also includes ideas and recommendations that look to the future of the City’s position as a global digital leader, including how the City can work with local companies to increase the number of women and minorities in the tech sector. These recommendations were gathered through social media, public listening sessions and presentations that took place across New York City. To read New York City’s Digital Leadership: 2013 Roadmap in full, visit NYC.gov. “City-As-School is not an ordinary high school.” – Nikola Carouso’s Graduation SpeechThe City-As-School Aquatic Ecosystem Challenge!